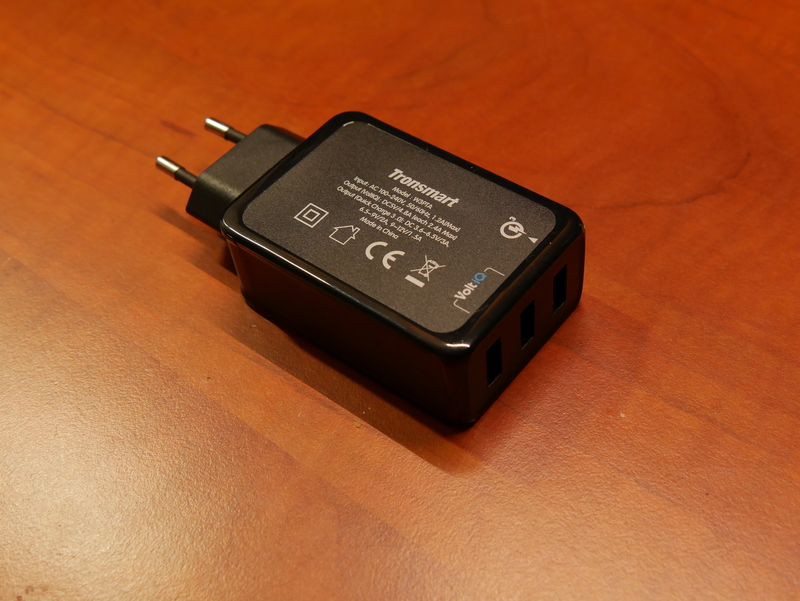 Today we are looking at a Tronsmart charger again. This time it’s the W3PTA! 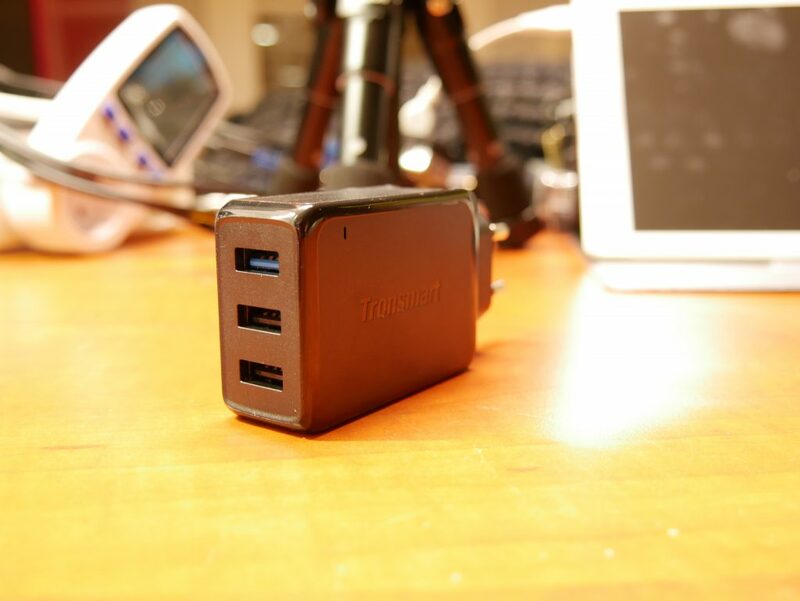 This is an updated version of the TS-WC3PC and it now comes with Quick Charge 3.0! All other specs are the same between the two models. Take a look at my video to get a decent view of the unit and my test setup used in stress testing the unit. These videos aren’t called “Full load” for nothing! 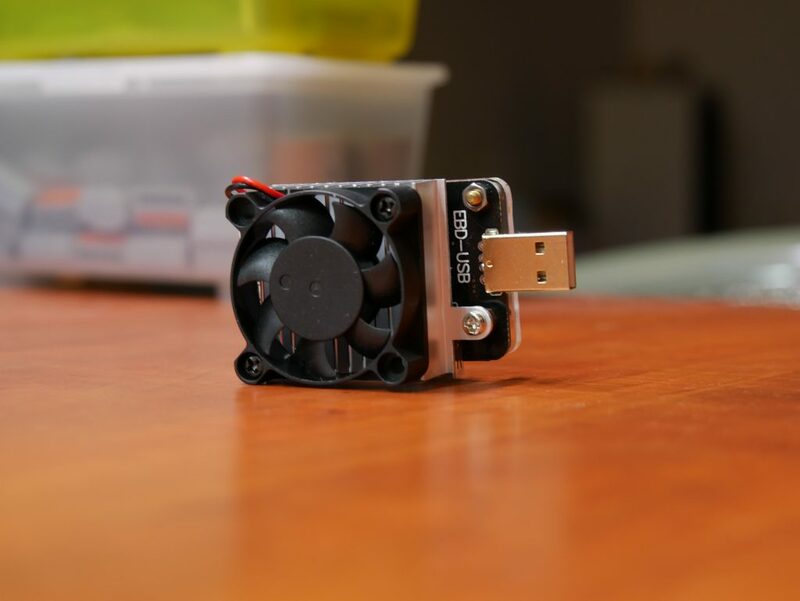 As you’ve seen in the video this charger comes in a very small package and only includes 2 little booklets and the charger itself. No more included cable for you! Sad to see that go really, the included Tronsmart cables where actually very good. Read more about USB charging cables and the difference between different cables here! I bought this on Aliexpress, you can do so yourself by clicking here. The charger with all the details on one of the sides. As you can see it fully supports Qualcomm Quick Charge 3.0 with voltage ranges for each voltage. The blue port is the Quick Charge 3.0 port the other 2 are VoltIQ. 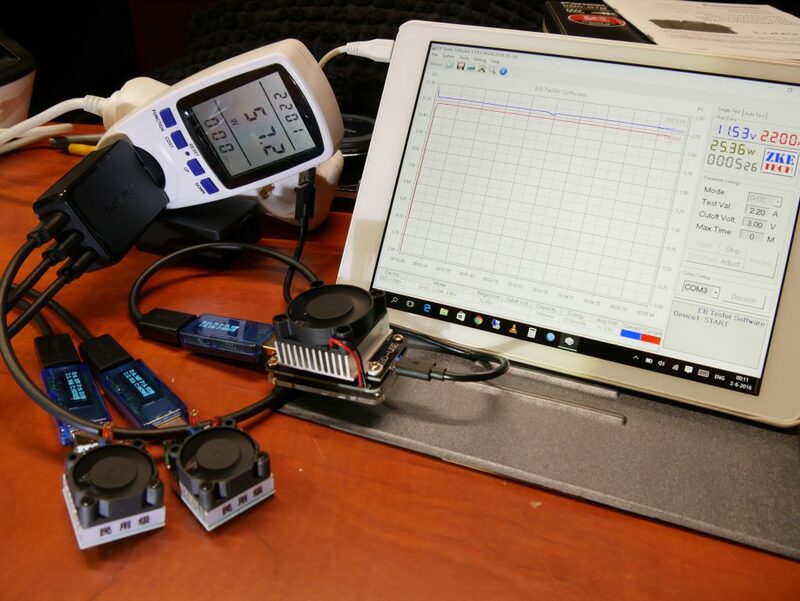 An explanation about VoltIQ and what it does can be found here. Here you can see my test load at 12v reaching up to 3 Amps! Quickly after that the charger cut out completely and reset itself. This was with 2x 5v 2A load connected at the same time! Here is an overview of the test setup that I used. And the max total load I was able to pull out of the charger measured from the wall socket. As stated in the video the charger is about 81% efficient which is a bit better then the previous version which managed to achieve 76%. To test efficiency I use a “standardized” load test with 3x 5v 2A so 6 Amps in total. My test setup can be seen in the video. As always I test using variable 5v loads set to 2A for all ports and then I also run tests with and without loads loads on the middle port (normal VoltIQ port) and the QC3.0 port. After that I also do some QC3.0 tests with and without any other load using the EBD-USB tester. As you can see in my video, during all tests I use 50cm USB3 extension cables. The voltage drop in these cables is about 0.05v to 0.10v. Please that into account when reading the graphs below. This charger behaves a little bit different then the previous model. The previous model went all the way up to 4 Amps for the middle port which was the maximum my tester can handle. 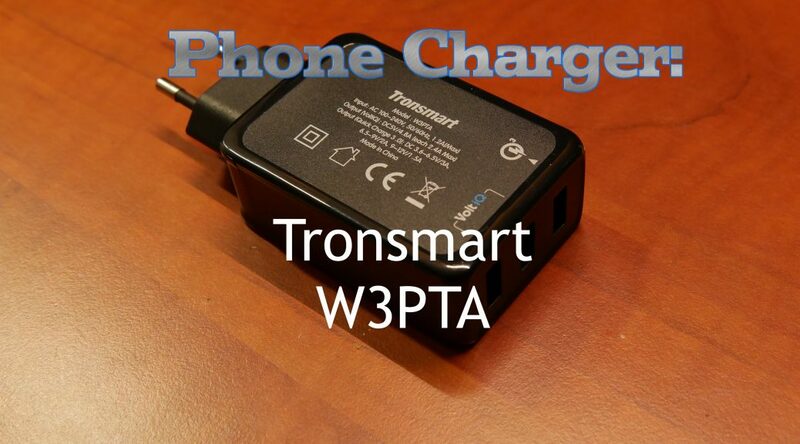 This version of the Tronsmart charger cuts off at 2.75A which is the more sensible thing to do. The Quick Charge 3.0 port allows you to draw a little bit more Amps cutting off around 3.20A. But as you can see voltage already starts to drop off quickly around 2.60A. Still that should be fine during normal usage, I don’t know any device which would try to pull more then 2.4Amps on 5v. And the last Quick-Charge test is the 12v test. Again it worked very well topping out around 3.0Amp before voltage really started to drop off. 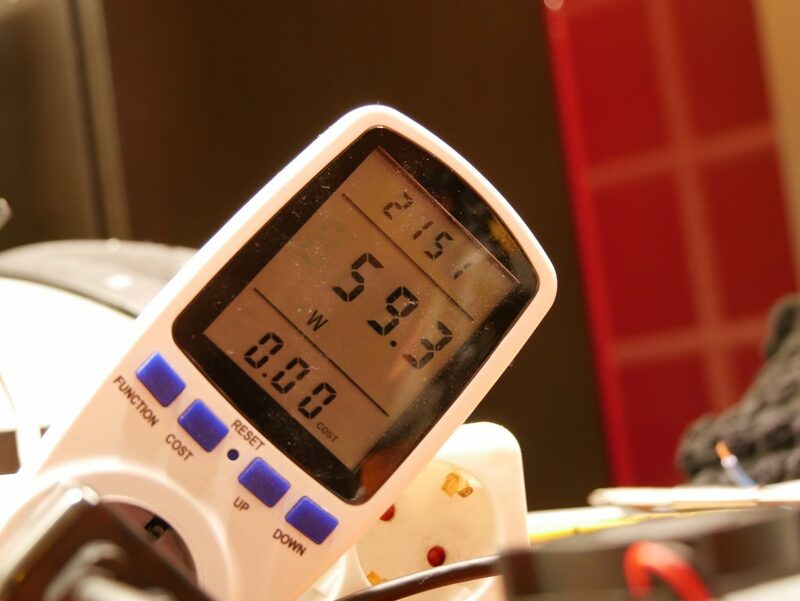 Since at that point we’re already up to 36 watts, it delivers almost twice what the specifications ask for! Mind you this is with no other ports connected. The tests is using the EBD-USB on the middle port and loading the two other ports with 5v 2A each. As you can see it doesn’t change the measurements one bit meaning this charger is regulated very well. No matter the 5v load you put on any port, it will always output the same voltage and Amps to each port. Even with both other ports loaded with 5v 2A the Quick Charge 3.0 port at 12v manages to output up to 2.4Amps. However at that point the charger does reset itself ending the test. This is well above the 1.5Amps that are required. Job well done! The Tronsmart W3PTA does very well! As with the other Tronsmart charger it doesn’t really matter what normal load I connected to it, it handled it all very well. Only when I started really overloading it did it stop the output. In that regard it behaved better then the old model did. The old model would supply up to 4.0Amps for a single port, that is quite high and really never needed when charging an actual device. So having a set cut off on there is safer then not. As stated above, when full load testing the unit for 10 to 15 minutes it behaved well and never got any hotter then 60 degrees Celsius at the hottest spot. That is quite warm to the touch, but won’t instantly burn you either. The casing seemed to hold up very well too. I couldn’t get the temperature to go any higher so I could not test to see if the unit has a thermal shutdown or not. Excellent and very much recommended! I wish to buy this charger yourself you can do so yourself by clicking here. Hi, i have a question. Your dummy load can draw up to 12v even though they aren’t QC 3.0? So in theory, my macbook can draw a maximum of 12v from the QC 3.0 port of the charger? The load I’m using is asking the charger using the Quick Charge communication protocols to switch to the 9v and 12v output. 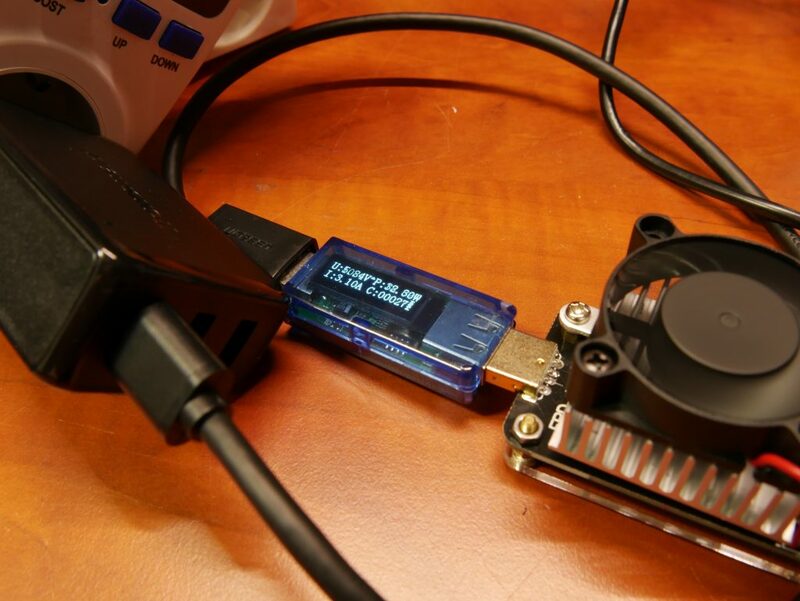 Your Macbook won’t do that, so the port will never deliver more then 5v. 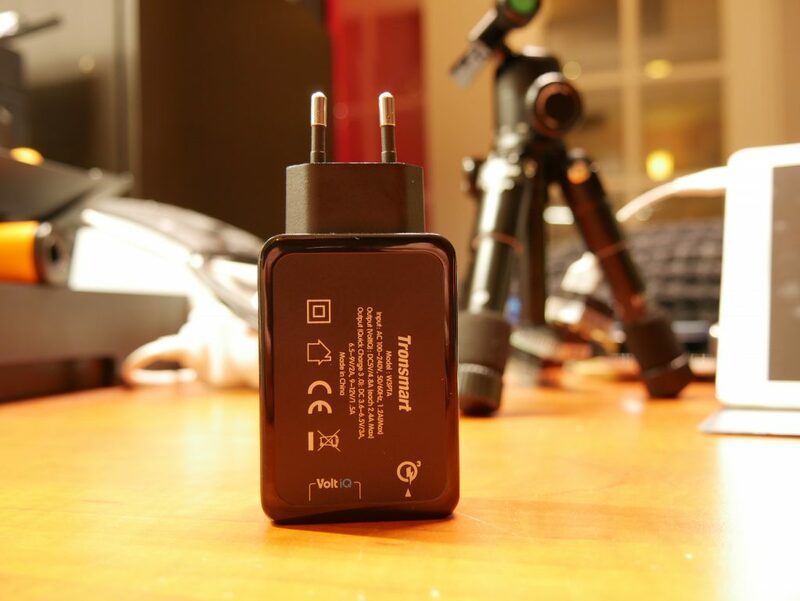 I have both the 12V and 230V versions of the Tronsmart 3 port chargers with 1 Qualcom3 port. I am very satisfied with them and use them exclusively to charge my devices. However, they do have 1 downside. They send out EMC noise on the 12V And 230V cirquits, causing radios (DAB actually) to loose reception. Other slower chargers from Sony, that I also have available do not.